Almost 25 years ago there was a film called, The Power of One and ten years later a song by the same title was the theme for Pokemon: The Movie 2000. We ask that question because, in our hearts, every person wants their life to count for something. Each of us wants to make a difference. And secretly, we all wish for something greater than we are, something that is worth investing our lives into. George Pocock understood the power of one another. George was one of the leading designers and builders of racing shells in the 20th century, creating the shells for the 1936 University of Washington team that stunned the sport of eight-man crew racing by winning the Gold medal at the Berlin Olympics. Beyond building racing shells, Pocock knew the philosophy of competitive rowing, having been an award-winning rowing athlete in his native Britain. He played a key role in that early UW rowing crew of farm kids, troublemakers, individualists – students that somehow had hard-scrabbled their way into college at the height of the Great Depression. 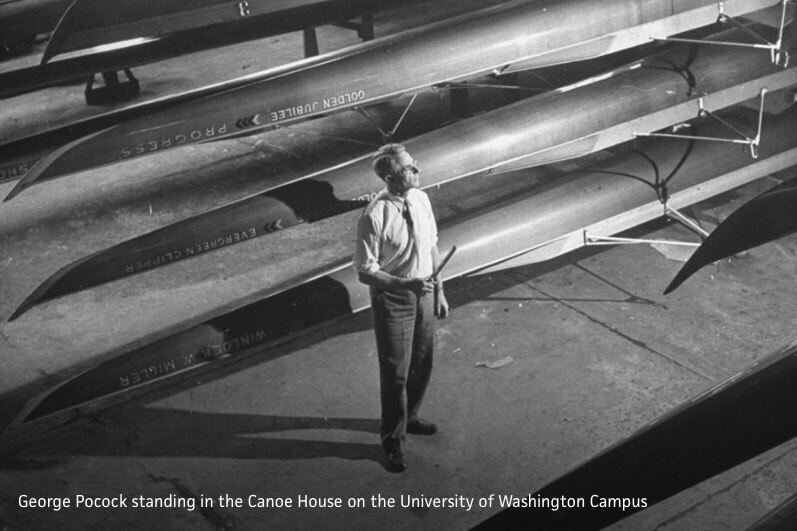 There was no history of winning crew racing at the University of Washington. Each member of that 1936 crew had made it to college and onto the team through pluck, determination, desire and individual achievement. And yet, none of them were standouts in any dimension, to be sure. They came together as a crew under a young coach to simply row a boat. But it was George Pocock that helped them understand that they would have their greatest impact when they learned to row the together. One of the strongest men on that young UW team had been abandoned by his parents while a boy, learning to take care of himself in the woods at a young age. Somehow, he made it to the University of Washington, trying out for the crew team. The coach soon noticed that any team that this young man rowed on was faster with him, but that these teams still weren’t winning. George Pocock later recounted the life-changing conversations he had with the young man, who already had a lot of self-confidence. It was this lesson that Pocock taught to the entire UW crew, that to be great you have to give yourself to something larger than yourself. Far beyond anything he accomplished as a boatbuilder, George Pocock’s legacy is the inspiration he provided to those who were to follow. His influence and philosophy changed the trajectory of thousands of lives and captured the imagination of the entire world. 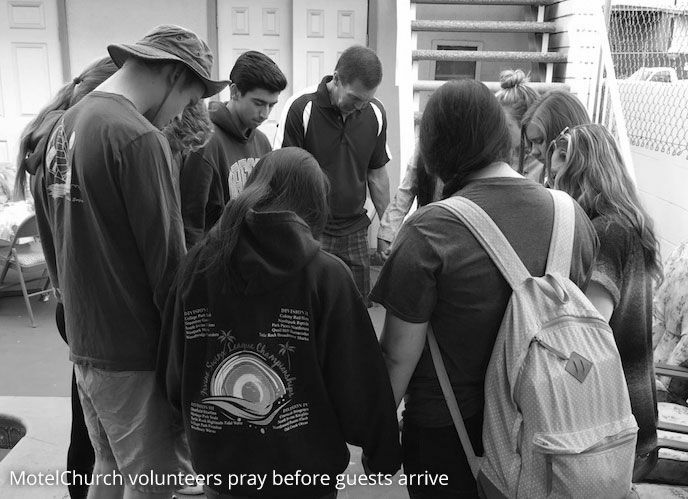 MotelChurch teams work together with one another to plant churches in weekly motels, where homeless and working poor people live. Each team is just ordinary folks that come together on a weekend morning to make a difference. As they serve they learn new ways to reach the lost and bring hope to the hopeless. And, as a result, hundreds of people accept Jesus every year. Those who were previously homeless and hopeless find hope and even a future. They begin to build lives that are God-honoring, and they become citizens in their communities. Their children experience a stability that they have never had. Relatives and friends become infected by the new enthusiasm and optimism of their friend or family member. Life by life, the world becomes a better place. If you’re looking for a place to make a difference, we invite you to come and serve with us. You don’t need to make a lifetime commitment. Just try it out. It’s easy, it’s fun, and you will leave feeling better than when you showed up. And, who knows, maybe you will see what a great difference you can make as part of something bigger than yourself. Click here to join our volunteer mailing list and learn more about MotelChurch.